The Professional Learning Framework is now available. Members of the College refine their professional knowledge, skills, practices and values described in the Ethical Standards for the Teaching Profession and the Standards of Practice for the Teaching Profession through ongoing professional learning. The Professional Learning Framework for the Teaching Profession (PLF) describes some opportunities and processes that support ongoing professional learning for educators. These opportunities have been identified by members of the profession through provincial consultations, surveys, focus groups and written narratives of practice. 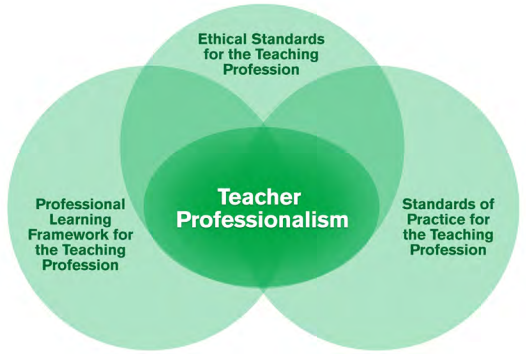 The Professional Learning Framework for the Teaching Profession (Ontario College of Teachers, 2016) is one component of a collective vision of teacher professionalism in Ontario that was collaboratively created by both the profession and the public. Professional learning takes a variety of forms. The Professional Learning Framework for the Teaching Profession supports the Ontario College of Teachers to meet its legislated mandate to“provide for the ongoing education of members of the College.” It also informs the public of the many ways educators remain knowledgeable and current. The Professional Learning Framework for the Teaching Profession supports the ongoing growth and development of the profession through the identification of a wide range of learning and education opportunities. Read about opportunities for professional learning in the Professional Learning Framework for the Teaching Profession.